The weather yesterday confirmed that Spring is finally here. The fish continue to chase streamers and seem more willing to commit with the warmer water temperatures. There are still plenty of early stoneflies and we have seen fish eating them in the slower pools. 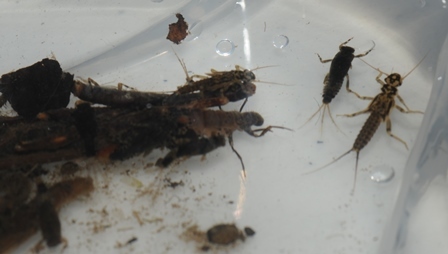 A few chimarra caddis have been spotted on the West Branch so that hatch should increase over the next week. We are looking at another great afternoon with air temperatures peaking around 61 degrees. Cannonsville is at 93.1% capacity with an inflow from The West Branch at Walton of 1780 cfs.